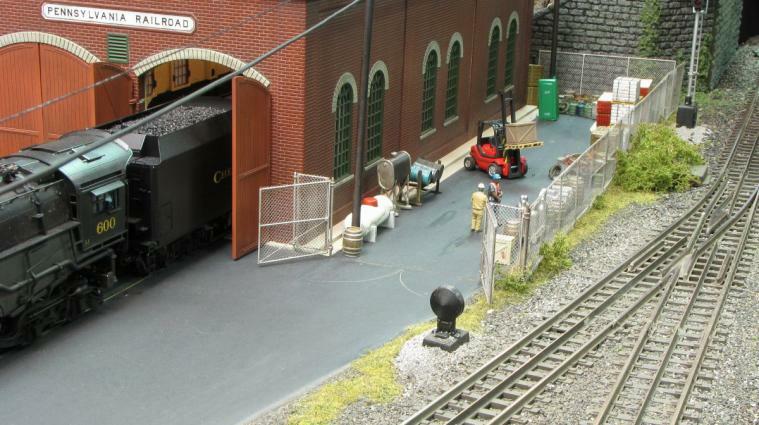 This layout page is the next best thing to actually being there and visiting the layout in person. 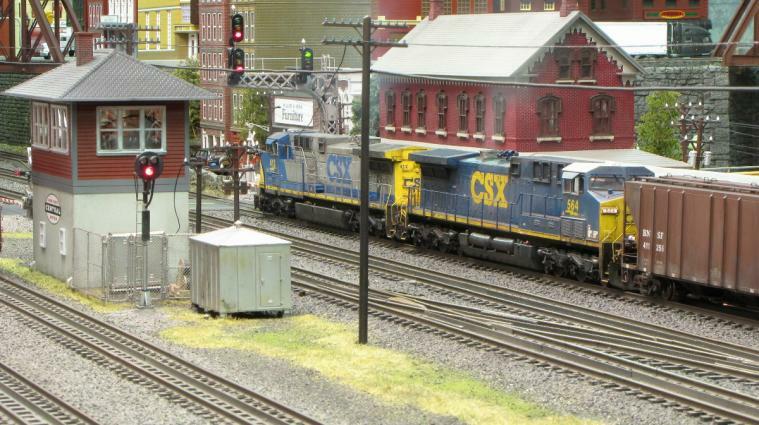 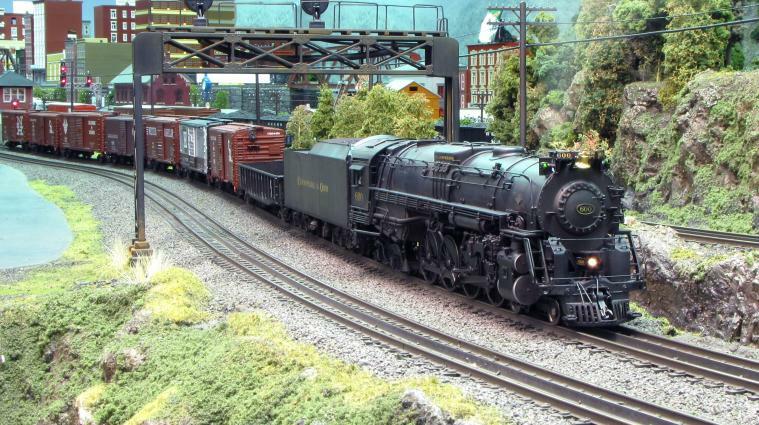 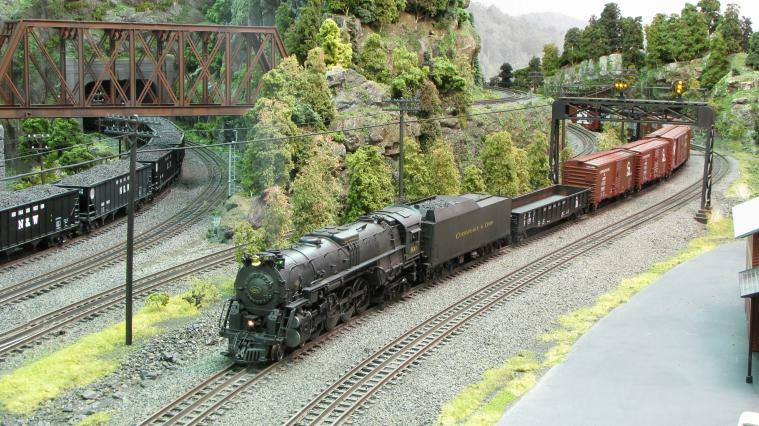 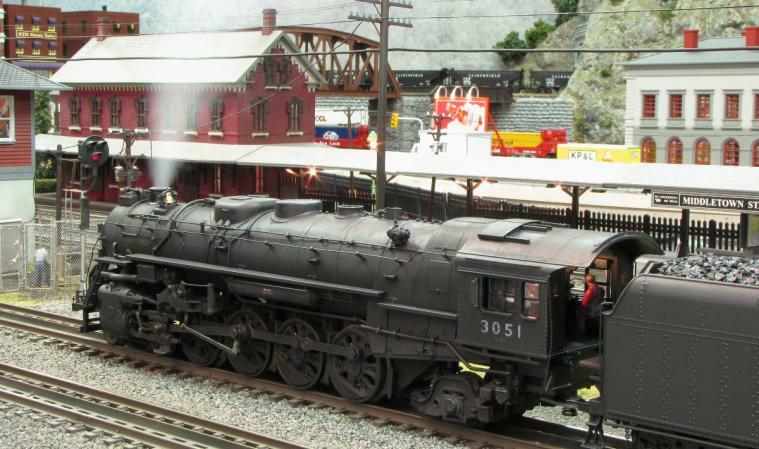 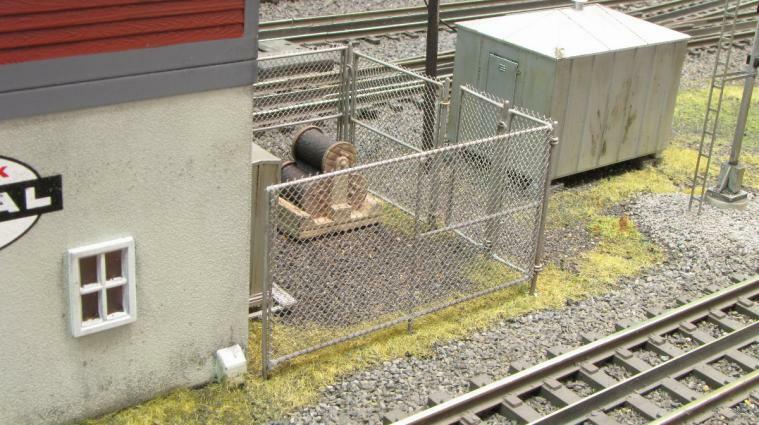 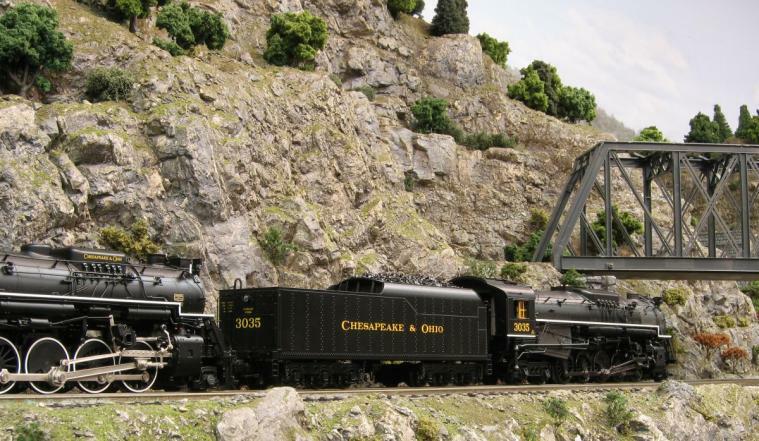 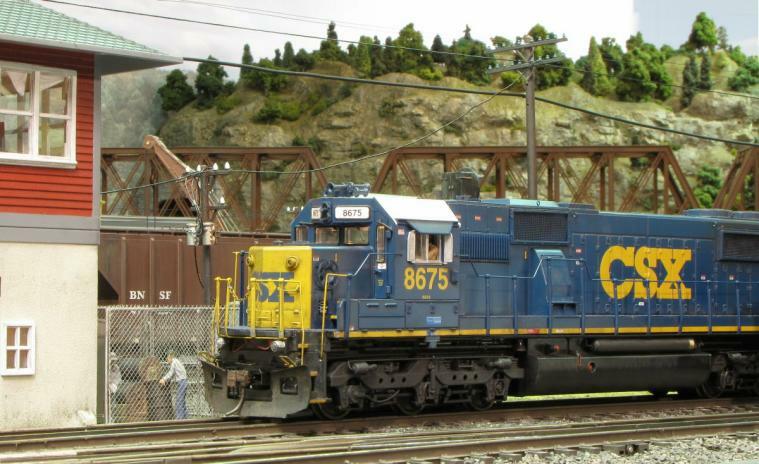 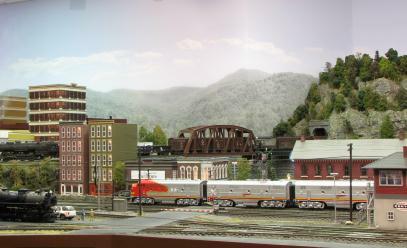 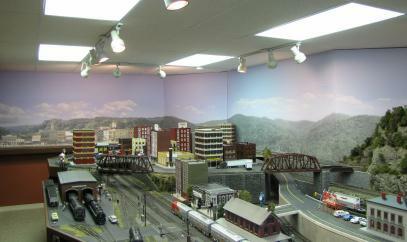 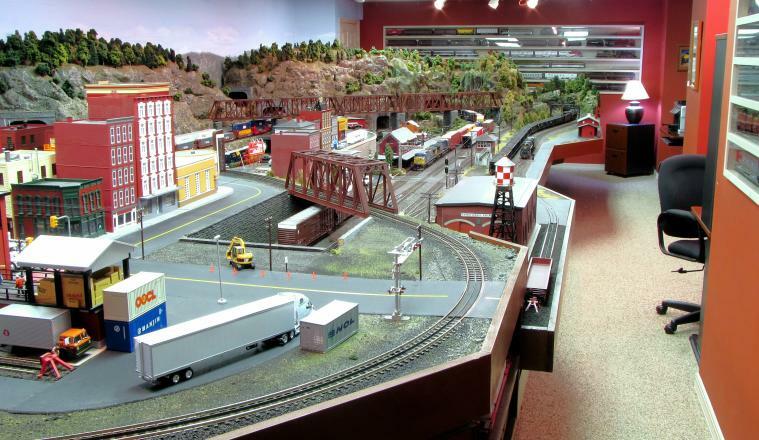 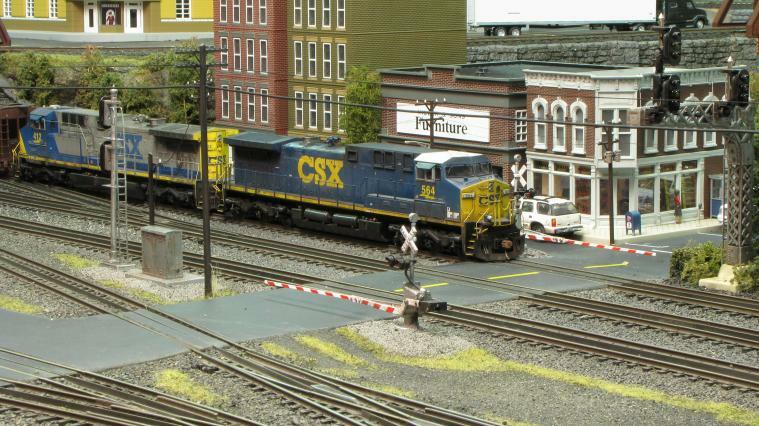 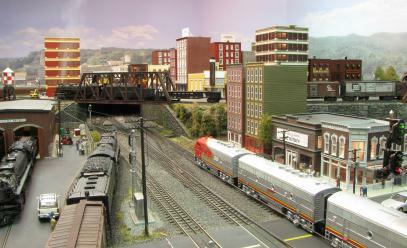 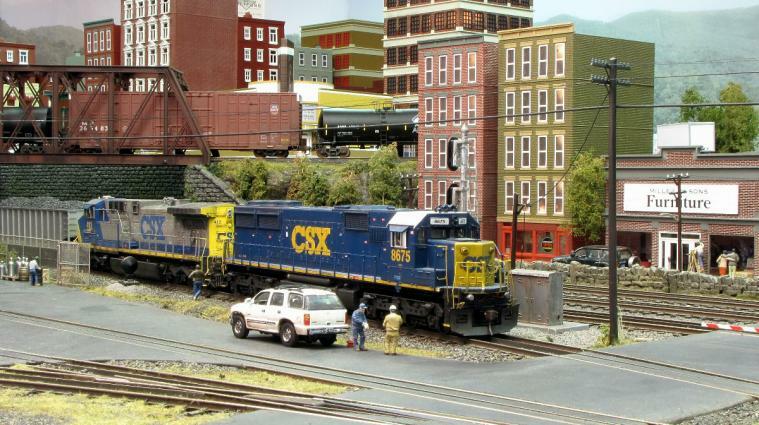 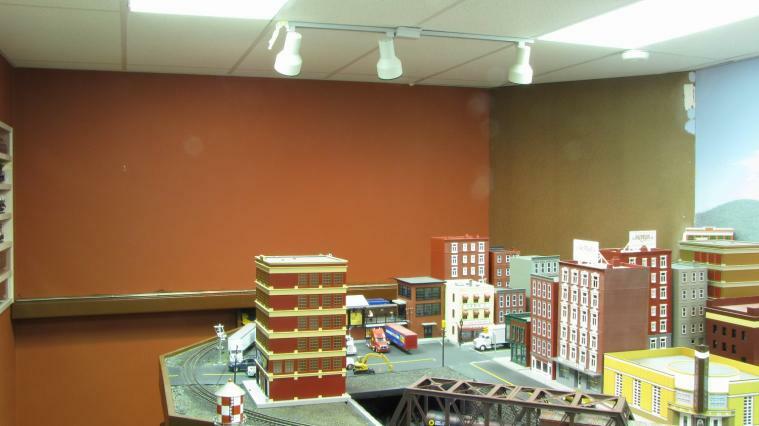 You will be able to see this spectacular model railroad layout from almost every angle featuring MTH premier line O-gauge model trains in front of realistic mountain and urban scenery on the Black Diamond Railway. 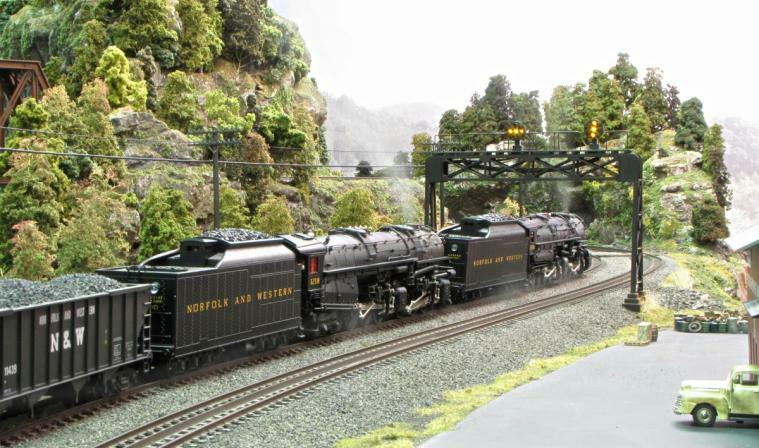 Did you know Black Diamond is another name for coal? 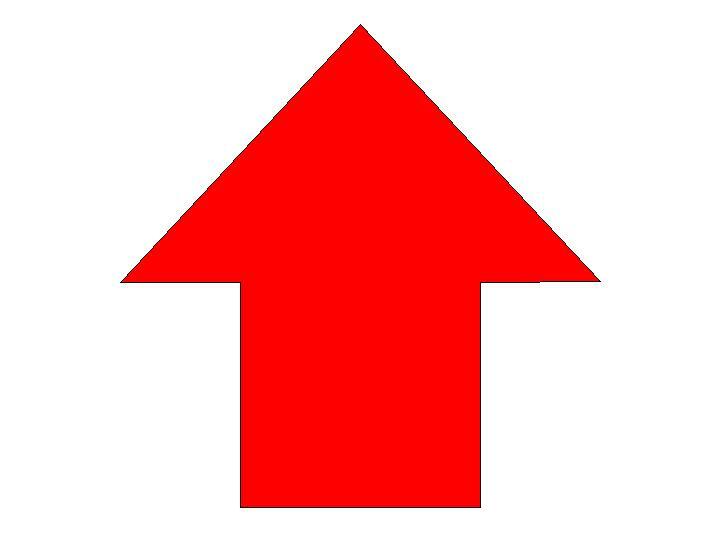 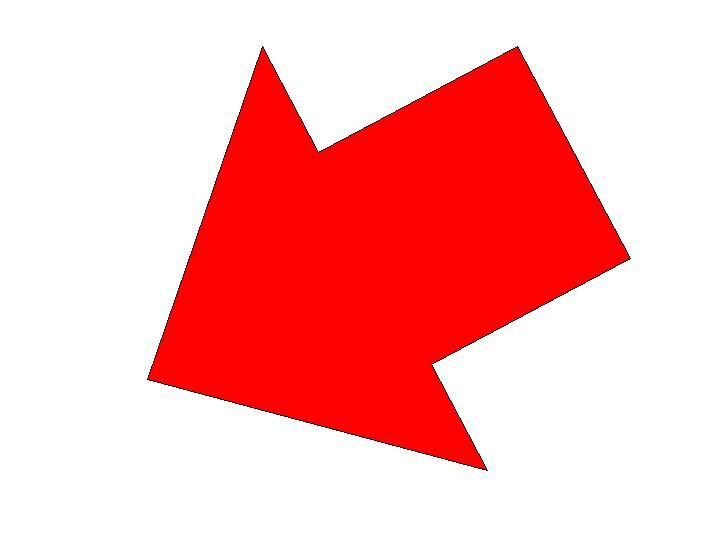 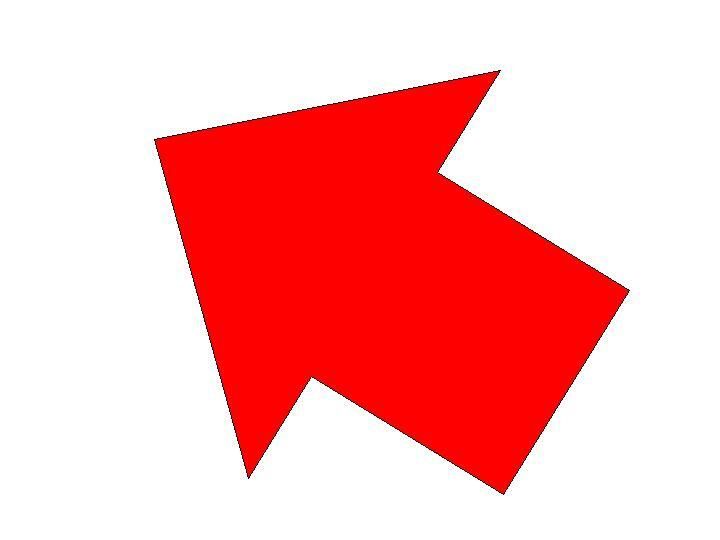 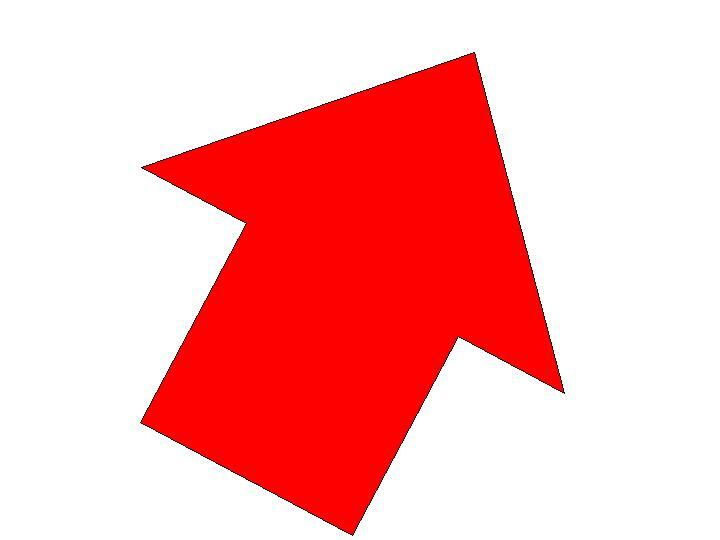 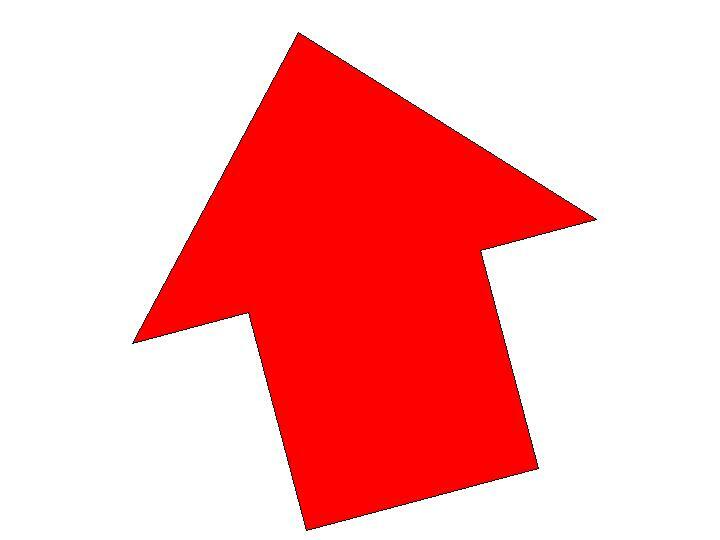 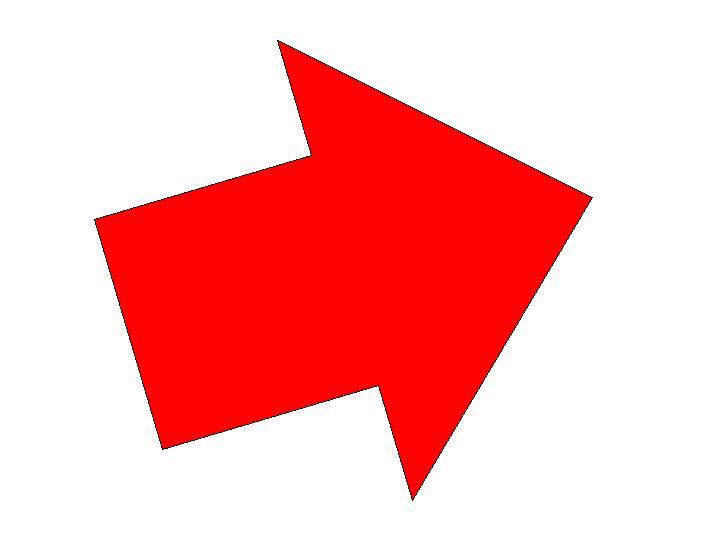 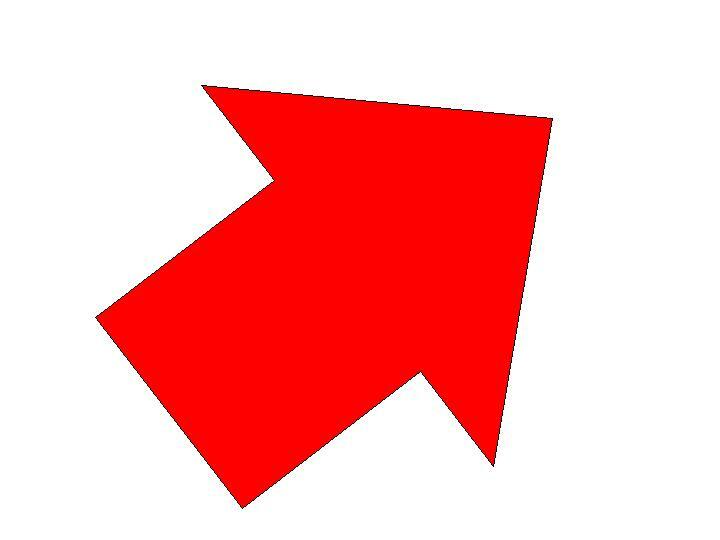 Click on the Red Arrows or Photos below!